Welcome back to Remake/Remodel, the column where one of Treble’s editors or contributors takes a classic—if imperfect, to our ears—album, and proposes an alternate tracklist in an effort to provide a different, albeit highly enjoyable listening experience. Today we revisit an album that just celebrated its 25th anniversary: Nirvana’s Nevermind. Simply suggesting that there’s anything wrong with this album is seen as sacrilege in a lot of circles (it sold millions so we’ll say a lot of circles), but considering how familiar the album is to a lot of listeners, a little refreshing can do it some good. Now, Nevermind has benefited from two and a half decades of radio airplay, which can lead to exhaustion, so why not offer an opportunity to hear it in a different light? Nevermind has 12 tracks, and they’re pretty much all strong. I’m not interested in losing any of the hits, because while I’ve heard them more times than I can count, they’re hits for a reason, and great songs despite the overexposure. But I also want to shed some brighter light on the deep cuts that get overshadowed (if such a thing can be said of the album). The album buries a lot of gold in the second half, and overloads the top half with hits. Maybe that’s not a problem, per se, but I like an album with more balance. Not only that, some of the band’s best songs from this era in their career ended up as b-sides. I intend to fix that. What’s Gone: “Territorial Pissings,” which is a decent punk song but doesn’t accomplish anything that “Breed” doesn’t already have covered. “Lounge Act” is also gone—it’s not necessarily a bad song, but sounds more like a b-side. And “Something in the Way,” which is boring (sorry). In their place are a couple b-sides: “Dive” and “Aneurysm.” I originally wanted to include “Verse Chorus Verse,” aka “Sappy,” but the version recorded during the Nevermind era isn’t as good as the one recorded during the In Utero sessions, and as such will probably have to be one to revisit should I get to that album (which I probably will—I can’t be stopped). So here we are, with a Nirvana Nevermind alternate tracklist for you to read, listen and enjoy. Or argue with me about it. I’m used to that. Listen to the playlist below to see how it stacks up. On Nevermind, an album that probably doesn’t need too much explanation on my part for readers—it did sell millions of copies and basically change the landscape of rock music—”Smells Like Teen Spirit” is the opening track. And that’s a pretty exciting way to begin an album, I’ll admit. But I also don’t really like it when the biggest hit is the first song. In a sense, there’s something kind of liberating about getting it out of the way. But then again, the best albums are those that build to something. So we’re not there yet. Instead, we open with “Stay Away,” a song that seems like it was written for high-energy live sets. It opens with a suspenseful drum roll and explodes into the kind of big punk rock song that gets things moving right off the bat—and quickly. There’s nothing necessarily wrong with where “Breed” is on the tracklist, but I decided to move it up for the sake of giving us a little room before we get to the hits. It’s one of Nirvana’s grungiest songs on Nevermind, and though it’s not a single, it’s one that has a lot of punch. Here, we don’t change much. “In Bloom” and “Come As You Are” are a pretty strong pairing—they sound like they go together as a pair, and so it shall remain, with the crunchy plod of the former giving way to the slightly more restrained post-punk-psych of the latter, which borrows liberally from Killing Joke’s “Eighties.” Truth be told, the sequencing of the proper album is mostly pretty strong, so I’m fine keeping a few things as they are. Now we can get to “Teen Spirit”—the alt-rock anthem that more or less defined Nirvana and made them household names. It’s been played about 100 billion times a day every day since the ’90s, but it’s not hard to figure out why that’s the case. It’s impossibly catchy, thanks to an assist from influence by Boston’s “More Than A Feeling” (which the group even cheekily half-covered before playing this song live) and The Pixies. It’s a huge song, and definitely needs to stay on the album. But it feels somewhat more satisfying when it takes a little more time to get there. For what’s ostensibly the end of Side One (though Nirvana was definitely a product of the CD age), “Polly” remains in exactly the same position as it appears on the album proper. 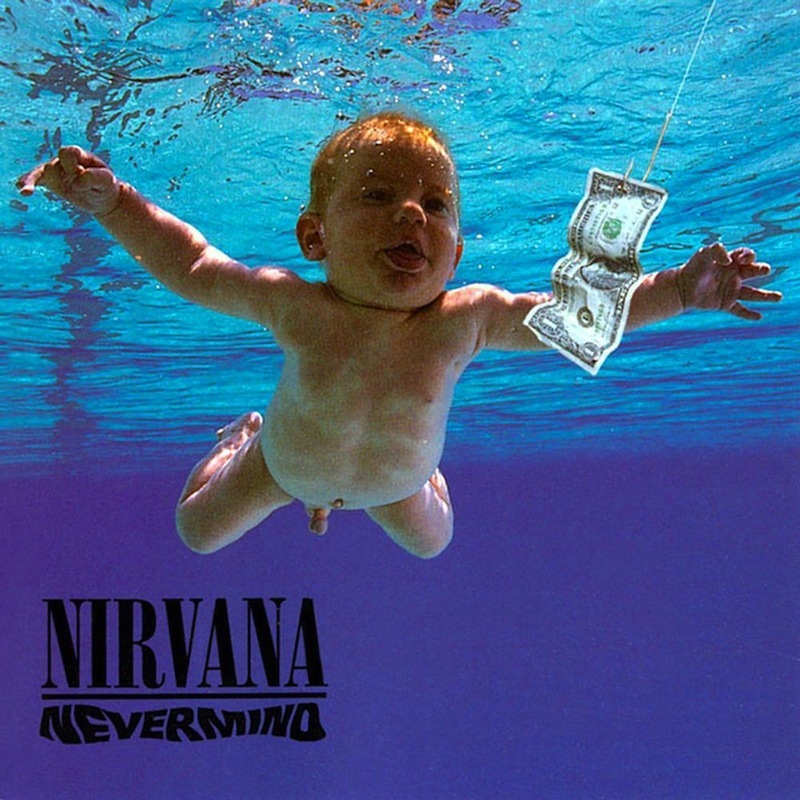 Nevermind benefits from having at least one, stripped-down acoustic song, and this is clearly the better of the two, so it stays right in the middle, separating one run of meaty rock songs from the next. “Drain You” was an alternate opener in my test runs, and I ultimately decided against it because of the weird, Sonic Youth-style dissonance interlude about two minutes in. But it certainly feels like the beginning of something, and so it is here: The beginning of Side Two or Act Two, depending on how you want to look at it. It’s one of the better songs on the album, if only because it benefits from a lack of overexposure. This was another alternate opening track, which I decided against because it was the opening track on Incesticide, the band’s b-sides compilation that was released between Nevermind and In Utero. It’s a little bit more raw than much of the tracks here, though not necessarily as lo-fi as the $600 wonder, Bleach. And maybe that’s why it ultimately was left off the album, though it’s a bit of a shame, since “Dive” stands up to the best of their tracks, and is better than a lot of the songs on Bleach, for that matter. So, let’s redeem it, give it the album placement it deserves and stick it right here. There are certain rules about major label hit albums, one of them being that you put all the hits fairly early on in the album. And that’s maybe one of Nevermind‘s assets in terms of its commercial success. Side one features four singles, almost all of them in a row. But I think it’s good to give them some more space. This is the kind of perspective that only comes in hindsight, seeing as how none of these songs were radio-ubiquitous when the album was released. But that’s the beauty of Remake/Remodel: That 20/20 hindsight allows us to make these strategic moves. So “Lithium” goes to the middle of side two. “On a Plain” is the penultimate track on Nevermind, but Nirvana should have just ended the album right there. I dare say it’s the album’s best track, a song that earned airplay without having a video or a proper single release, and it sounds like a natural closer. The way the music cuts out at the end and leaves only Kurt Cobain’s multi-tracked backing vocals is chilling and dramatic. Not only that, but Cobain sets it up for being the closer: “One more special message to go, is that I’m done and I can go home” A little on the nose? Perhaps, but that doesn’t mean he was wrong. I love your track order but made a few tweaks. I used the Butch Vig mixes and added back Something In The Way, but from the BBC, which I don’t find boring at all.. Also added a bonus disc. Ha! I just discovered this featured. I have a whole folder in Spotify called “resequenced”, where I do this. Here’s what I came up with three years ago, and I totally also included Aneurysm. I love Nevermind, but I don’t like that the singles are all front loaded; this is a problem for me not because I think that makes the front half better, but because it makes the front half boring and packed with overly familiar mid-tempo songs which makes it drag compared to the unfuckwithable second half. I am not going to do it for this exercise, but I if I had my way, I would remove Lithium altogether, as that is easily my least favorite song on the album. I am going to add Aneurysm (Incesticide version), because it is my favorite Nirvana song and I have no idea why they didn’t include it originally. I am also going to swap out nevermind-version Polly for New Wave Polly, as I prefer that version. I considered including “Sappy”, one of the oldest Nirvana songs (so it was definitely available to record during the Nevermind sessions, and was to inferior results), and perhaps my second favorite Nirvana song, but I did not because the definitive version of the song wasn’t recorded until 1993. I personally don’t like Smells Like Teen Spirit first, since I never want to hear it again, but there’s no way it can’t open this album. I am not sure this new order actually makes it better, but it makes it far more enjoyable for me personally.